Take a look at our frequently asked questions for further insight into how you could benefit from our windows and doors and how to maintain them for years to come! Are timber windows and doors secure? Timber windows and doors are widely regarded to be very secure and, more often than not, more secure than their uPVC equivalents. The reason for this is that new security devices can easily be added to the door unlike with uPVC, where the material is not strong enough to support any additional fittings (unless they are built into the metal framework of the door) meaning that the door or window is only as secure as when you first bought it. This isn’t the case with timber windows and doors. As well as actually being secure, it is very easy to spot whether someone has tried to gain access to your property because of the damage and marks left on the wood, allowing that you to call the authorities or bolster security in case the perpetrators come back again. In order to have the most secure timber windows, it is advisable to invest in high quality to prevent degradation, all of our timber windows come with a 30 year guarantee. When painting timer windows and doors it is always best to use an oil based primer along with the best quality exterior paint and gloss you can find – we recommend Farrow and Ball. It is worth noting that you cannot stain softwood windows and doors, but these are fine for painting. How do windows affect house value? Windows are a large factor when it comes to the value of your home, in some instances, the type of windows you own could increase or decrease the value of your home. Double glazing has been known to add up to 10% to the value of your home and increase the likelihood of a sale according to property experts. In some instances, uPVC have actually devalued period properties that have been installed. According to the BBC this devalued one period property by £12,000. Some property experts have commented that if you’re house’s windows are PVC or unsightly then new buyers will use replacing them as a bargaining tool. Which Windows best suit my house? 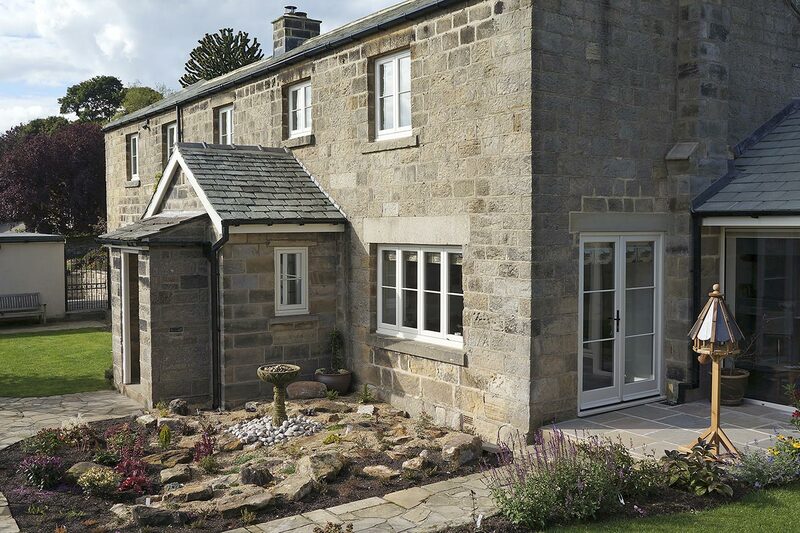 Are timber windows and doors energy efficient? Timber is a natural insulator and can provide better thermal efficiency as uPVC windows in some cases, but overall the two are largely similar when it comes to thermal efficiency. Although as efficient as uPVC windows, timber windows and doors are much more sustainable and environmentally friendly as 100% of wastage during production can be recycled, compared to just 50% for uPVC. We offer skilled and experienced labour. Although joiners are very qualified, they often do not specialise in window or door installation like our team do. We have professional partnerships with iron mongering and paint specialists, meaning that you will be getting the very best finishing touches to your windows and doors to make them last. How much are timber windows? The initial outlay of timber windows is expensive when compared to uPVC windows. But regardless of this, they can add real value to your property, making it more attractive to possible buyers, making them a long term investment that outweighs the initial cost. If properly cared for, they can last as long as uPVC windows and retain their look for longer. With our 30 year guarantee you can be sure that the initial cost will be worth it in the value that it will add to your home, which is likely to be over and above the initial cost. How can I decorate my Timber Windows? Many people think decorating your Timber Windows is a tricky task, but with our handy guide, it couldn’t be easier. Whether you fancy a change of colour, or want to boost your kerb appeal we’ve put together some top tips and tricks on how you can decorate your Timber Windows with ease.